After months of trying to find a way to get Colourpop to the UK, I have finally succeeded, thanks to the help of the lovely Preema on twitter! 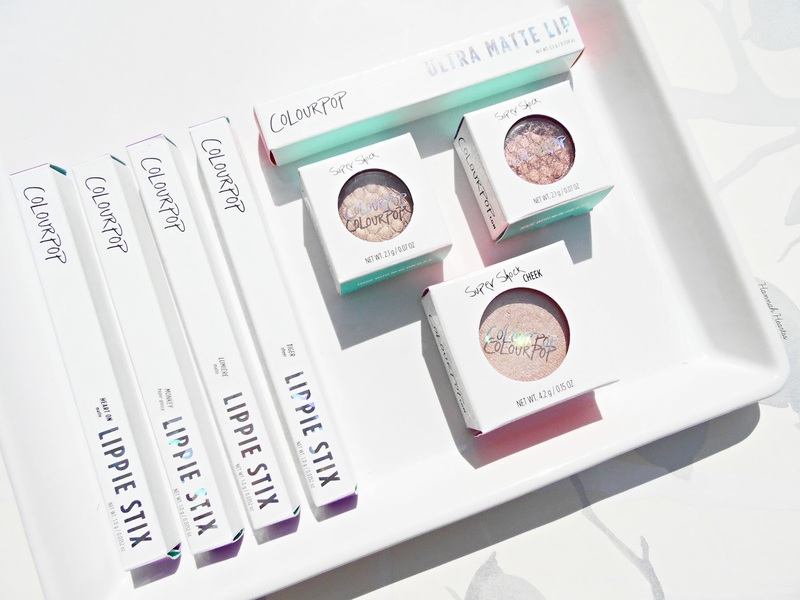 I have been watching so many YouTube videos on Colourpop and I didn't know what I wanted to get my hands on first so I ordered seven things to try them out and I already know many more orders are going to be placed. 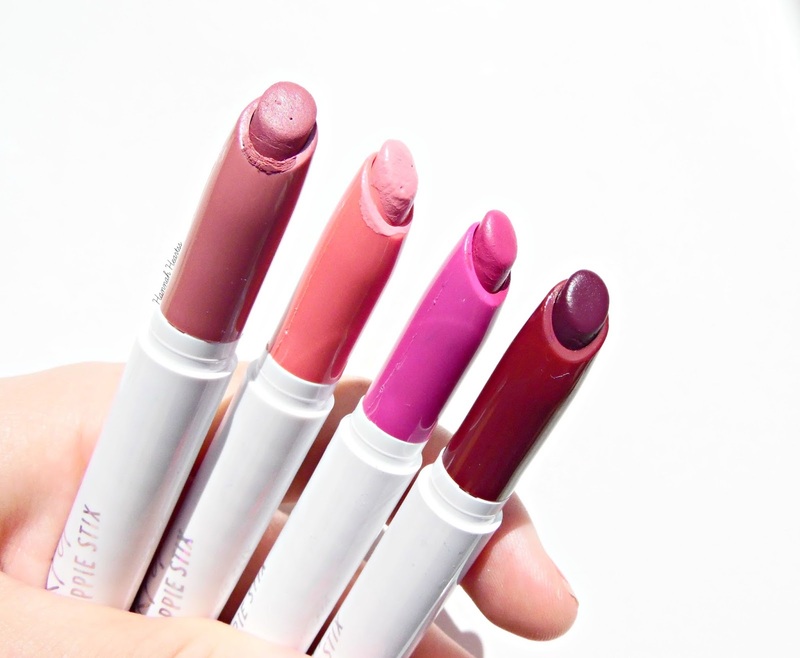 The first things I knew I wanted to get my hands on were the Lippie Stix and at $5 each I don't think you can really go wrong. I really like the packaging on these, it is very sleek and white with holographic writing on them. They also have a preview of the shade with the shade name and formula on the bottom of each Lippie Stix. I knew I wanted to get my hands on Lumière as it was created my Kathleen Lights and she is my favourite person and hilarious. This isn't a shade I would normally go for but I love it! I picked up another matte in the shade Heart on which is a brighter shade. I also picked up Tiger which is one of the new sheer formulas, which isn't even that sheer but this shade is going to be perfect for Autumn/Winter. The final Lippie Stix I picked up was in the shade Monkey, this is in the formula hyper glossy, this shade when worn on the lips doesn't really go with my skintone but I will find a way to use this one! I am not really an eyeshadow wearer but I knew I wanted to try them, these are again $5 each! 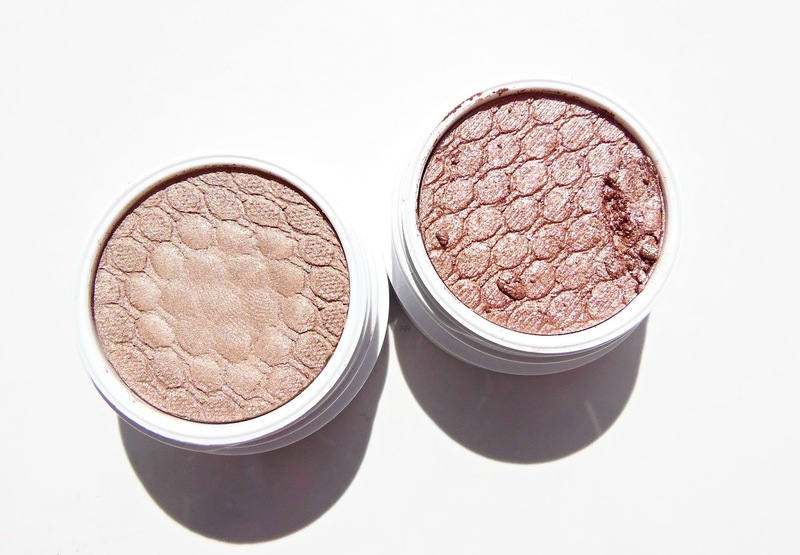 I picked up two of the Super Shock Eyeshadows, one in Smash and the other in LA LA. One of them did arrive broken but I did manage to fix it so all is well! These are incredible and the formula of these is very different to any other eyeshadow I have and I love it. It is a powder but is feels bouncy! These are incredibly pigmented and I know I am going to end up with many more of these. I also picked up a Super Shock Cheek Highlighter in the shade Spoon. This highlighter does have a lot of glitter in which I do really like when applied to my cheek bones. This one is more of a cream formula but has a powder finish. These retail for $8 each. The day after I placed my order the Ultra Matte Lips came back into stock and I was gutted as I did want to try out a shade before I got tonnes of them and again Preema saved the day! She ordered me one in the shade 1st Base, these retail for $6 each. I really love how this feel and looks on the lips and I already have more shades waiting in my basket to be ordered. Thank you Preema! You must be wondering how I managed to get Colourpop to the UK. 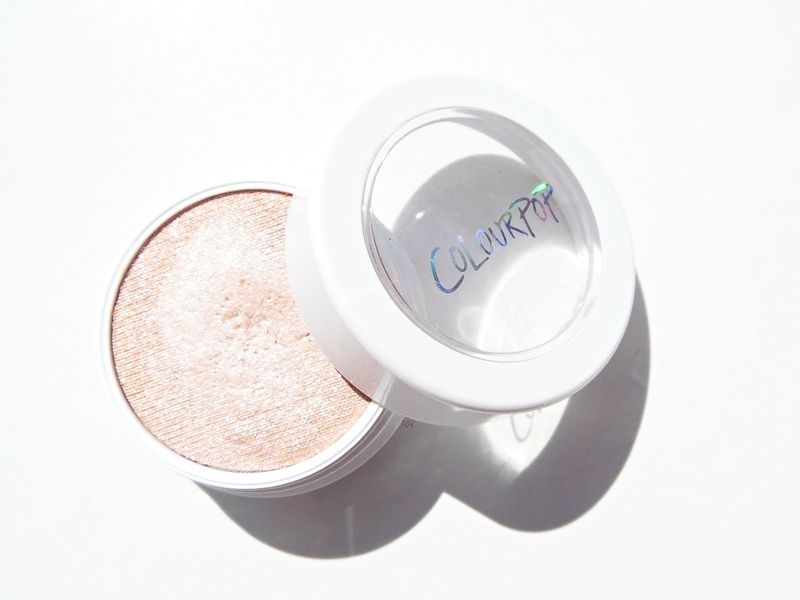 I used Shipito and I recommend it if you are wanting to get your hands on Colourpop and anything else from the US that doesnt ship to the UK. It was extremely affordable at just $5 to get this from Shipito to me in the UK and I will definitely be using them again, the pricing will depend on the size and weight of your parcel. When you create your Shipito account, you'll need to make a $5 deposit which is then redeemable against any shipping services. You'll be given a US address to ship your parcels to. Once Shipito receives your parcel they will send you an email with a picture of it and ask you to fill out the customs declaration and select your shipping method. Shipito also have 24 hour live chat for customer services and they are extremely helpful! I used the cheapest one and it arrived within 12 days. If you spend over £18 it is likely that you will get customs charges when your parcel enters the UK. I got fees of £11.45 on this order, £8 of each was actually the Royal Mail handling fee which is shockingly high! If you have any questions please tweet me.